Dais Global markets swivel joints for a broad range of uses in the chemical, petroleum, petrochemical, refining, mining, distilling, brewing, ink and paint industries, as well as farm irrigation and fertilizing. Design, plant and maintenance engineers use Dais Global swivels in flexible piping systems, loading arms, hose reels, sewer rodding and wastewater treatment equipment, and various types of process machinery. 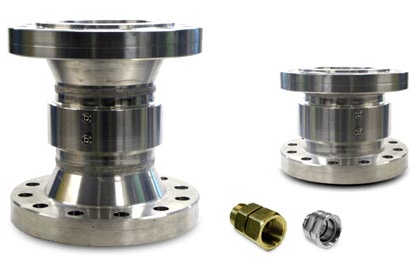 They also use our swivel joints in machine tool coolant transfer, drum filling applications, and in a variety of in-plant fluid and dry bulk transfer applications. The swevel joints make it possible for you to use rigid metal piping for loading and unloading fluids and dry product under pressure or vacuum without the difficulty or danger of handling heavy, cumbersome hoses.